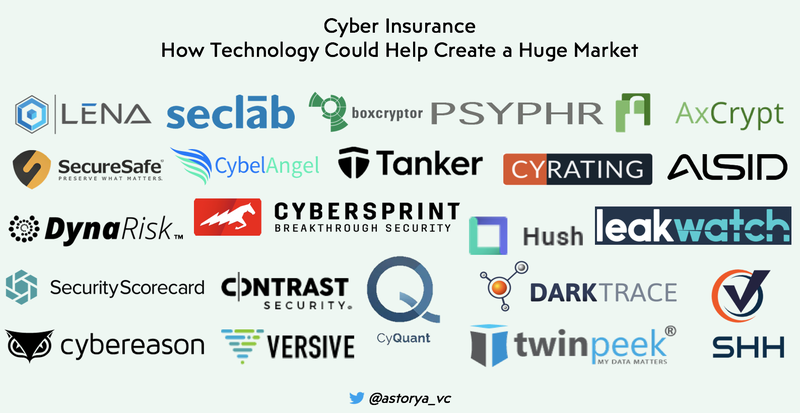 Let’s go through what could be the most promising insurance vertical in the coming years: cyber insurance . The Cyber Security market is expected to grow from $138B in 2017 to $232B in 2022 according to MarketsandMarkets, as threats are increasingly growing with 1.091 data breaches in 2016 (+40% yoy) and 1.579 in 2017 (+45% yoy) according the Identity Theft Resource Center. This should keep growing as the number of Internet users will grow from 3.8B in 2017 to 6B+ by 2022 according to Cyber Security Ventures. Assuming there is no way to perfectly avoid the cyber threat, we are watching the Cyber Insurance industry through 3 main areas: secure data, monitor security breaches, price Cyber risks. In the insurance industry, AXA has been active on that topic through its investment arm that took positions, in the US, in Security Scorecard that live-track vulnerabilities and deliver rating on 10 risk factors to secure the ecosystem surrounding any organization. It also invested in Contrast Security that allows to integrate threat monitoring and fixing directly into software. Big tech players are also considering that growing market and Google recently announced Chronicle, a subsidiary dedicated to Cyber Security to help companies monitor online threats. The cost of data breaches is said to cumulate at $8Tr between 2017 and 2022 according to Juniper Research, as cyber risks are mixed: from sensitive or patented data stolen from an industrial company, to customers’ data stolen from a web platform. Last year, ‘WannaCry’ a ransomware – a new kind of virus – hacked several industries including a car manufacturer that had to stop several of its production factories. In that specific case, the associated cost is huge and quite easy to price by assessing how many cars were not produced due to that production break. On the other hand, data breaches of customers’ data often occur among big tech firms. But in those cases, it is more difficult to size the price of such a loss. Customers can obviously report that incident as they have been exposed or their personal data compromised (starting with payment details), but it remains tough to assess the real cost of those hacks for the companies themselves: is the damage more on the final customer or on the web platform itself? Are the data stolen critical for customers (name, address, contact, payment details, …)? Is there any impact for the platform beyond trust and reputation? 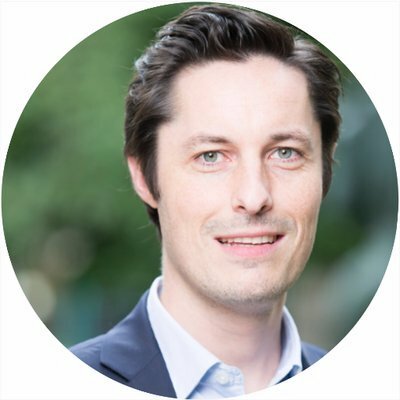 //Florian Graillot is a Partner at astorya.vc.